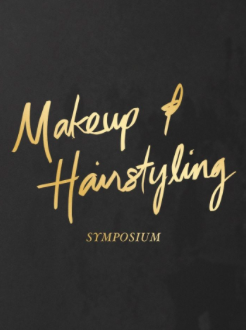 "OSCAR WEEK: MAKEUP AND HAIRSTYLING SYMPOSIUM"
(Doors open at 2:00 p.m). Celebrate our nominees at this free pre-Oscars event! Your hosts for this event will be Makeup Artist and Hairstylist Branch Governors Leonard Engelman, Kathryn L. Blondell and Lois Burwell. Complimentary parking is located at 8920 and 9025 Wilshire Boulevard. GET TICKETS: We have reserved a block of tickets for your organization, available on a first-come, first-served basis. Beginning 10 a.m. January 28th, please RSVP to makeuphairstylingrsvp@oscars.org (limit two per person). NOTE: Tickets will be available to the public, beginning Feb. 1st. Please indicate in the email that you are referred by Local 706. You may pick up your tickets at the Academy’s box office the day of the program, beginning at 1:45 p.m. After you have picked up your tickets, you may enter through the doors marked "Members" for easy entrance. Doors open for guests at 2:00 p.m.
A NOTE about tickets: Once this reserved block of tickets is gone, you may utilize the stand-by line, which will form at the west doors (nearest Almont Drive). Stand-by numbers will be given out at approximately 1:00 pm on Saturday, February 23rd. The number of stand-by tickets available will be determined shortly before show time. We hope to see you, to not only celebrate these wonderful artists, but to celebrate our craft!